Is Singapore’s real estate industry ready to roar again? This year was a big one for Singapore. The Little Red Dot mourned its revered founding leader Lee Kuan Yew and also marked its 50th year of independence. Also hitting headlines, however, has been the state of its property market, which continues to indicate more signs of gloom than boom. The stasis is at least party attributable to the People’s Action Party (PAP) government, which introduced a succession of cooling measures back in 2013 in response to an overheating market and also growing local disgruntlement over rising living and housing costs. Pressure has been put on the government – which was re-elected in September’s general election – by developers and investors to scale back the cooling measures currently in place. Still, there has been no indication of an imminent change of policy. With a population of more than 5 million, Singapore is well known for its wealth, modernity and scrubbed-up shiny surface. Affluence is certainly on display around the island from the gated communities of Sentosa Cove to the decadent designer boutiques lining famed shopping belt Orchard Road. But it’s a country also loved for its liveability. There’s excellent local hawker food, and affordable public transport. The roots of Singapore’s property boom can be traced back to the wake of the Asian Financial Crash in 1997. 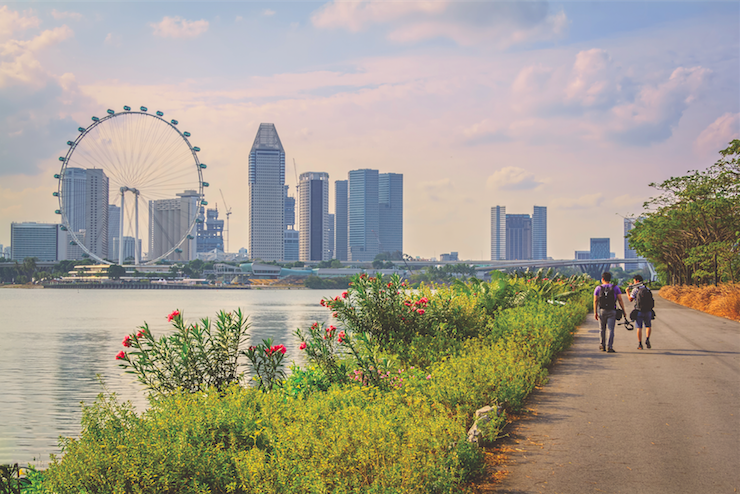 During the recovery the Singaporean government ramped up efforts to present itself as a global finance and banking hub, offering tax incentives to attract foreign companies and easing rules and lowering interest rates for foreign land ownership. It also began selling swathes of reclaimed land. Investors took the bait and construction of luxury condominiums boomed. Yet as more foreigners have poured into Singapore, the rising cost of housing has become a focal area of discontent. Although she firmly believes that investment sentiment for Singapore real estate will remain attractive for both locals and foreigners, Tan admits that the demographic and economic issues of population growth, income stability, inflation and cost of living were all significant market-influencing factors. She also notes that Singapore’s private homes market has seen seven consecutive quarters of decline following implementation of property cooling measures. These measures include a cap on debt repayment costs at 60 percent of a borrower’s monthly income, higher stamp duties and increased real estate taxes. The total tax for foreigners is now 18 percent. Under the Residential Property Act, foreign developers now need to complete construction within five years of purchasing land and sell all units two years after that. Failing to do so will mean having to apply for extensions and paying charges of 8 to 24 percent a year on the value of all unsold units. Further, if one wants to resell a property within a year of purchase, 16 percent of the sale price must be paid. This drops to 12 percent after two years and decreases gradually after that. But investors and developers are finding a silver lining through going private to avoid penalties for unsold, unfinished projects, analysts say.